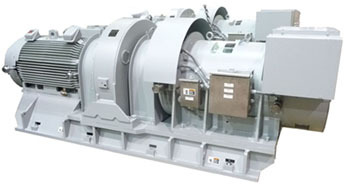 WEG Electric Machinery (WEM) offers new and replacement motors for commercial grade nuclear, environmentally qualified and safety related motors and generators. WEM can custom design form-fit-functional replacement motors for existing WEM machines or other OEM’s equipment. WEM has a large number of motors and generators installed at nuclear power plants, operating for over 40 years. 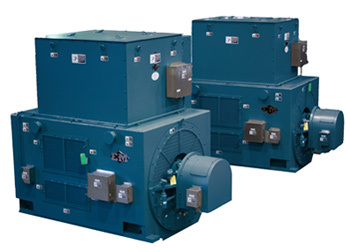 WEM motors and generators feature the Duraguard™ insulation system. The Duraguard ™ insulation system is a vacuum pressure impregnated epoxy-mica insulation system that provides Class F thermal capability, outstanding dielectric properties, superior moisture and chemical resistance and the superb mechanical integrity of an epoxy resin system. It is a sealed insulation system capable of passing the water immersion test as specified by NEMA MG 1 and IEEE. Abrasion-resistant coating is available for protection in demanding environments.